Toto has recorded a cover of Weezer’s ‘Hash Pipe’ as a response to Weezer covering ‘Rosanna’ and ‘Africa’. Stephen Cummings and Michael Gudinski have settled their differences with Cummings signing back with Gudinski’s Mushroom Group to release a new album called ‘Prisoner of Love’ in February 2019. Tex Perkins and Matt Walker have announced a series of dates together which could see Perkins dusting off a few classic Cruel Sea songs for the tour. 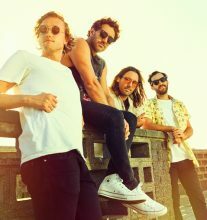 Sydney’s Caravãna Sun are heading back from their European tour with dates planned all over Australia from September. Bob Dylan has performed his 1979 classic ‘Gotta Serve Somebody’ for only the second time ever in Australia. Paul Kelly has completed another new album called ‘Nature’, one year after his biggest album in years ‘Life Is Fine’. 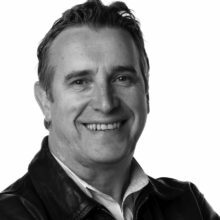 The Meredith Music Festival has once again delivered music diversity with a 2018 line-up boasting 70 and 80s pop greats Mental As Anything, Ed Kuepper’s eclectic The Aints to today’s rock band of choice POND. The National Live Music Awards (NLMAs) are today revealing the cities and venues set to hold simultaneous events around the country for their 3rd annual event on Thursday, 6th December 2018. Geelong’s The Kite Machine have a new song ‘Sinister Sound’ with a video shot in the middle of the night in the middle of winter and then they’ll tour. Kanye West's feud with Jimmy Kimmel seems to be well and truly over, as the rapper has agreed to appear on his talk show on Thursday. 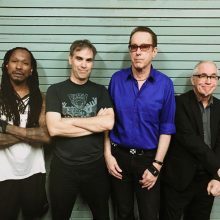 America’s epoch-making punk band Dead Kennedys will be back in Australia and New Zealand in November. All postponed Pink shows in Sydney have been rescheduled and one Brisbane show has been moved. Angus Young appears to have forgiven the wayward AC/DC drummer Phil Rudd and invited him back into the band to start work on a new album. The legendary Melanie Safka joined the legendary Todd Rundgren at the legendary Daryl Hall’s house for an upcoming episode of Live From Daryl’s House. 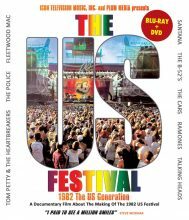 The historic 1982 Us Festival, featuring The Police, Tom Petty & The Heartbreakers, Fleetwood Mac and Santana, is about to have a DVD release. 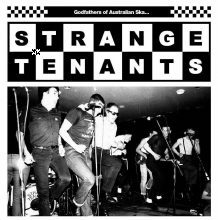 Just when you thought they were relegated to the history channel, Melbourne ska band Strange Tenants suddenly have a lot of activity with new music, a book and a documentary. John Hiatt will release his next album ‘The Eclipse Sessions’ in October. It will be his first album since ‘Terms of My Surrender’ in 2014 and his 23rd studio album. Bob Evans is about to head out on tour in support of his new compilation ‘Full Circle’. 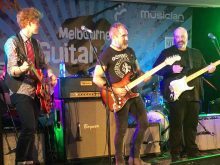 Melbourne Guitar Show has given the spotlight to an enormous young talent. Guitarist Charlie Bedford is 17-years old. Gambling site Sportsbet is taking bets on how many Pink shows will be cancelled on her current Australian tour. Bob Dylan has performed his born-again classic ‘Gotta Serve Somebody’ a second time for fans in Singapore. Britney Spears is fighting a deposition request from her ex-husband Kevin Federline in their ongoing battle over child support. Demi Lovato has entered an in-patient rehabilitation facility as part of her ongoing recovery from a suspected drug overdose. Pop star Kelly Clarkson is eyeing a return to TV as the host of her own daytime talk show. LIVE NATION ANNOUNCEMENT: On medical advice P!NK’s performance scheduled for this evening (August 6) at Sydney’s Qudos Bank Arena has been postponed. The legendary Dionne Warwick will return to Australia and New Zealand for shows in November. 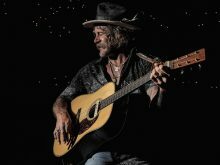 Donavon Frankenreiter will tour Australia in November for his first shows since 2015.